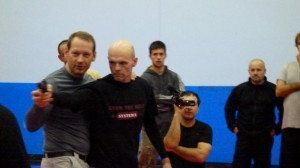 Mr Andy Seatherton, is a Systema instructor appointed by Vladimir Vasiliev, Director and Chief instructor of Systema Headquarters, Toronto, Canada. 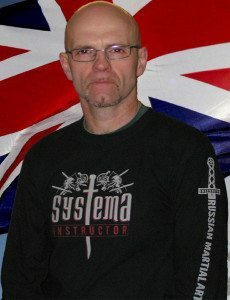 Andy Seatherton is the chief instructor at Systema South West based in Exeter, Devon, England. 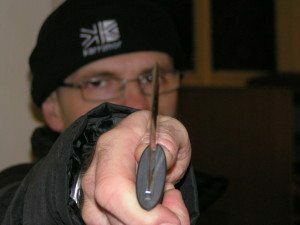 Mr Seatherton has been teaching Systema since 2012 and has attended many Seminars with some of the world’s top Systema Instructors. Andy is passionate about martial arts that are effective and practical and this is why his martial arts career has only fixed upon a few different systems. Mr Seatherton says “I do not have time for martial art mumbo jumbo, it is not in my, nor those who train with me, best interest to spend time upon unproven theories of combat“. Andy Seatherton’s martial arts career began at the age of 9, when he became a student of Exeter based Judo instructor John “Jack” Battersby and trained at the Exeter Judo DoJo from 1972 until 1981 under the tutelage of Mr Battersby. In 1980 Andy became a student of American Kenpo, he first had the honour to attend seminars given by American Kenpo Founder and Senior Grand Master Ed Parker in 1980, on his first visit to the UK , along with Mr Rainer Schulte, Mr Denis Conaster and Mr Skip Hancock. Andy has always been keen to learn from other martial arts and has crossed trained in many different styles, but insists that he has never found anything that is unique and complements Kenpo enough to make him sit up and take notice. That was until he had a taster session in the Russian Martial art of Systema, from Martin Wheeler. Mr Seatherton says “I found it simply fascinating and could see that there was a very big potential for Systema supporting my teaching of Kenpo, and subsequently Kenpo has accelerated my Systema progress“. Andy Seatherton began Systema in 2010 and was awarded his first level of instructorship (Instructor in Training) in October 2012 by Russian martial arts founder Vladimir Vasiliev. Now a fully qualified Systema instructor, Andy is dedicated to bringing the Systema teachings of Vladimir to Exeter, and the South West of England. Other martial arts Andy has crossed trained in, include Judo, Aikido, Ju-Jitsu, Tang-so-do, European Boxing and Escrima.